Rejuvenating Water Sanctuaries – Hidden Gems of L.A.
Modern life is kinda crazy. We live in the most extraordinary and privileged times – organic juice bars, bluetooth everything, electric scooters you can rent from your phone (“Bird”- well that’s a whole other topic…). I am really grateful to be living in such an abundant period of humanity. At the same time, we are busier, oversaturated and exhausted by the constant shifting of gears and processing of new information. I know I’m not alone in this, it’s a common topic of conversation among my group. Which is why it’s essential these days to make space for, well, space. In our schedules and in our minds. 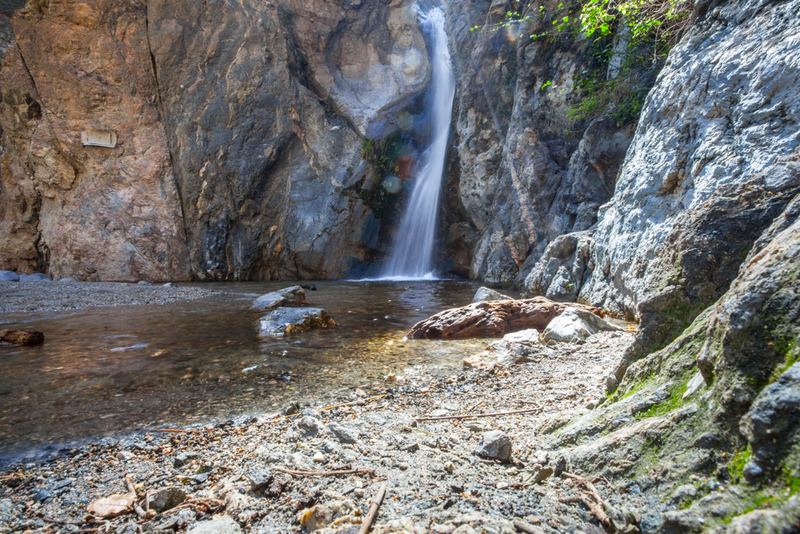 Luckily for us Angelenos we have no shortage of natural sanctuaries around the city that can help with just that. In Sedona they call them an energy vortex – I’m not sure if these technically qualify but I know that my energy always feels vortexed after visiting. My connection to nature, and especially water bodies, has always been at the core of my mantra for wellbeing. Here are some ultra-rejuvenating Los Angeles water sanctuaries to refresh your mind and spirit. Waterfalls in L.A.? Outdoorsy people are not surprised of course, but most of us don’t really equate this drought-ridden area with waterfalls. This one is easy to reach (i.e., less hiking) which makes it a must-do. The history of this place alone is interesting enough to be worth a visit – it used to be owned by 20th Century Fox and, as you can imagine, was the setting for a handful of movies in the early to mid-century. But it’s also a pretty neat spot. Nicknamed the “Yosemite of Southern California,” it offers varying landscapes of tall peaks, rolling plains, oak savannahs and a nice little lake. It has all-level hiking options as well as rock climbing if you’re feeling adventurous. As the name promises, this is a true sanctuary. It too has some movie culture (then again, what historical spot in L.A. doesn’t?) but today offers daily meditations and tours of the grounds for those of us not part of the domestic Ashram. The grounds have a surprising amount of architectural interest nicely mixed in- including a cool old Dutch windmill chapel, the large golden temple on the lake, and a houseboat. I’m on a waterfall kick, because you can’t feel bad when surrounded by rushing water, lush foliage and towering rocks. This trail is about 4 miles with plenty of stream crossings which keep me occupied while working my way up the 700ft elevation. This is another easy, “what should we do this afternoon?” kind of outing. It’s a great spot for a picnic, walk or run with a large grassy knoll area as well as a newly opened walking path that gets you closer to the water (the Silver Lake Reservoirs are two water basins – the Ivanhoe Reservoir and Silver Lake – that are not accessible to the public). Interesting note: do you remember, a few years ago, seeing images of a lake covered in little black balls? This was the spot. 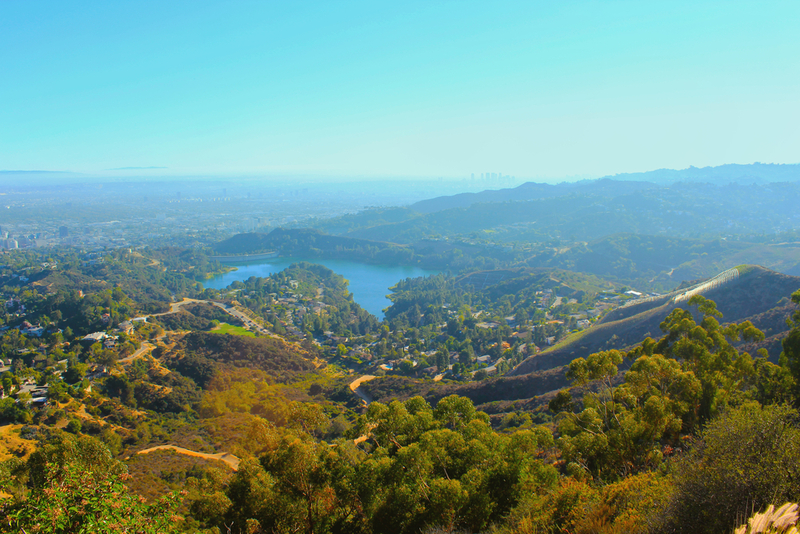 Though most of the views of Lake Hollywood are seen through chainlink fence, the scenic drive and walk around the trails are definitely worthwhile. This site provides a great description of where to go for the best views. If you are feeling the need for an energy refresh, whether in solitude or with friends and family, put these spots on your summer bucket list! And I’d love to know, what are some of your favorite sanctuaries?